If you've followed along with us on social media or stopped into the shop recently, you know we've fallen head over heels in love with the MISTI. Friends, it's the Most Incredible Stamping Tool Invented. While there are many creative and essential uses for this tool, we want to share how easy it is to use color layering stamps to make picture perfect images. For today's tutorial, I'm using the Original MISTI. I'm a fan of this size, as it fits 6x6 backgrounds perfectly. 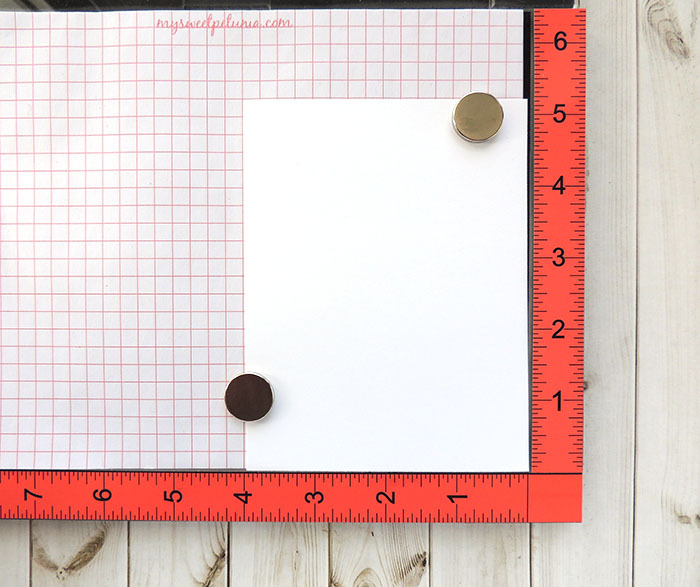 The tool accommodates both rubber cling and clear stamps and is a stamp mount with two magnets that allow you to quickly and easily position your cardstock for your desired design. Because of the amazing features listed above, it's the perfect tool for Christmas cards... or any time you're creating large quantities of a design. 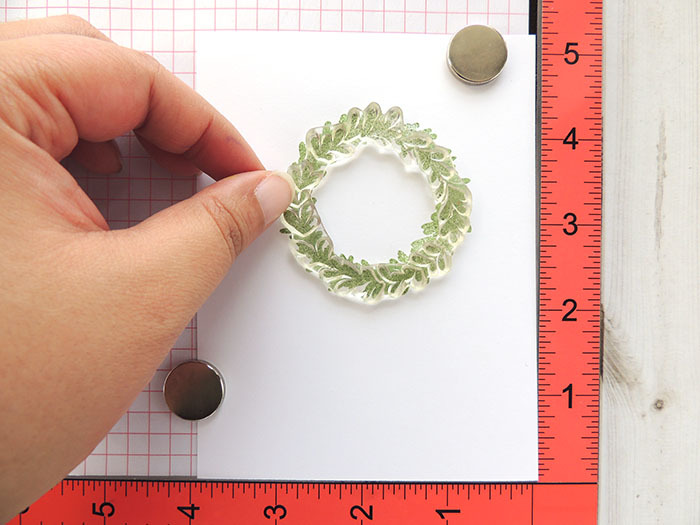 Simply position the cardstock in the corner of the MISTI, stamp, remove cardstock, position new piece of cardstock, stamp, remove... You get it. It's such a timesaver, and the end result is flawless stamping. 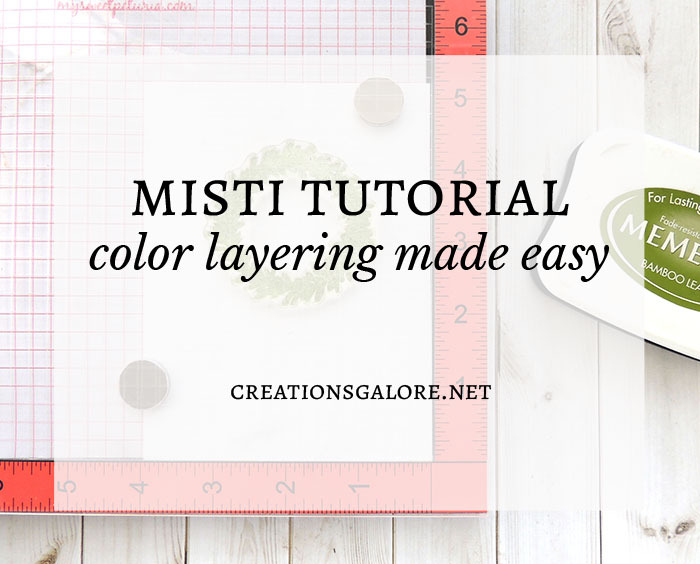 Position the cardstock in the right hand corner of the MISTI. 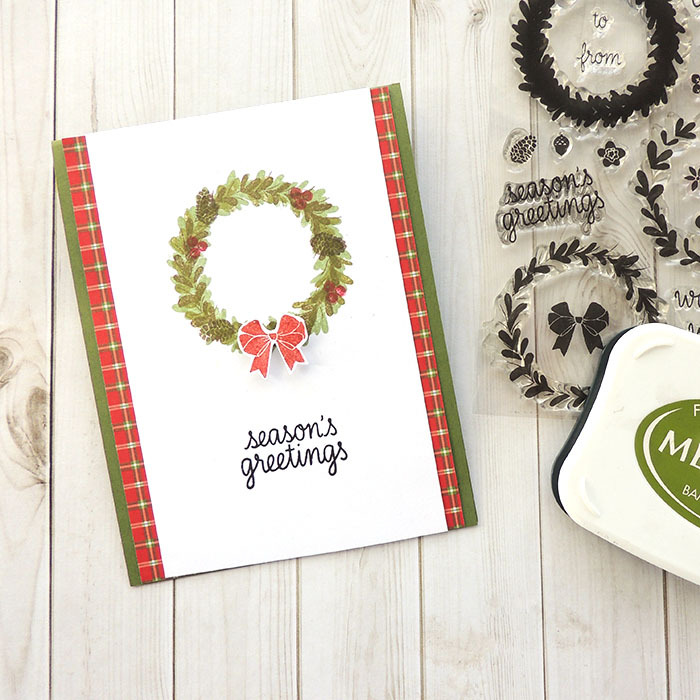 Place the stamp onto the cardstock as if you were stamping it without a block. Close the lid to pick up the stamp. Ink the stamp with the lightest color of ink. Close the lid and add pressure to area with stamp. Lift to reveal stamped design. Wipe away any ink with the Stamp Shammy, our favorite cleaner from Lawn Fawn. Next, position the second layer directly over the stamped image. You'll follow the same directions above to ink and stamp the second layer using a medium ink color. 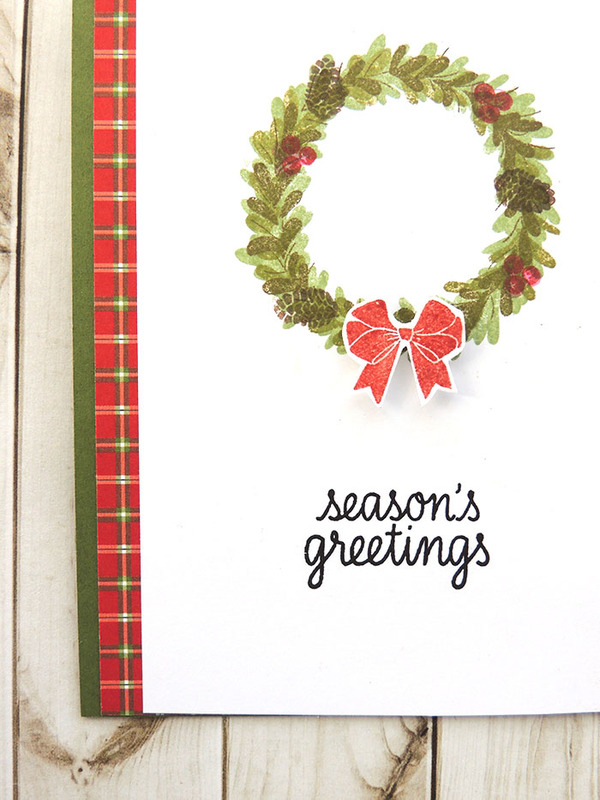 Repeat with the third layer using a dark ink color, add accessories, and stamp a sentiment too! The grid lines on the lid and paper pad assist in lining up all stamps, but we're crazy about how easy it is to perfectly align word and phrase stamps. And just like that, you're done! Easy, perfectly aligned layers of color and design. Still not convinced this is the Most Incredible Stamping Tool Invented? Stop by our Make N Take station to try it for yourself. CARD SUPPLIES Cardstock: Paper Cut. 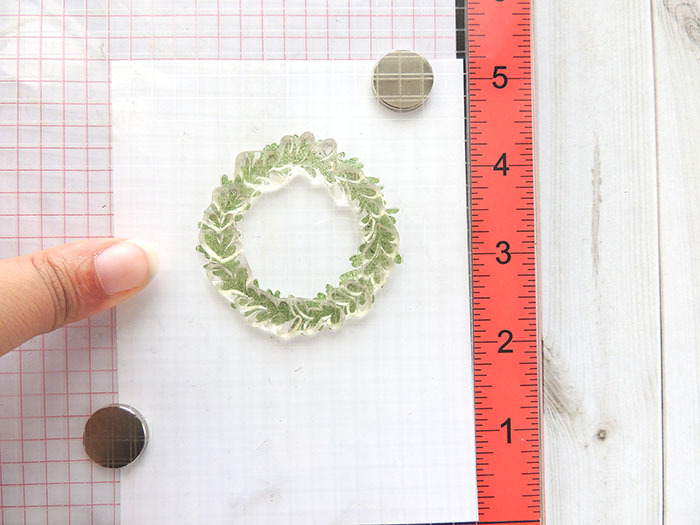 Stamps: Hero Arts (Color Layering Wreath). Inks: Distress Inks (Peeled Paint, Forest Moss, Fired Brick), VersaFine (Onyx Black), Memento (Bamboo Leaves), Wink Of Stella (Clear). Tools: Original MISTI.